Game Day Goulash - Blake Sims, Nick Saban and Lane Kiffin, Charlie Strong, and more. Game Day Goulash - Week 1, Day 5. We have out first "Oh no you didn't!" moment of the 2014 college football season. Oklahoma State fans brought an anti-Florida State sign that causally brings up the "Trail of Tears" - the forced relocation of southeastern US Native American tribes to reservations - to the site of this mornings ESPN College GameDay in Ft. Worth, Tx. 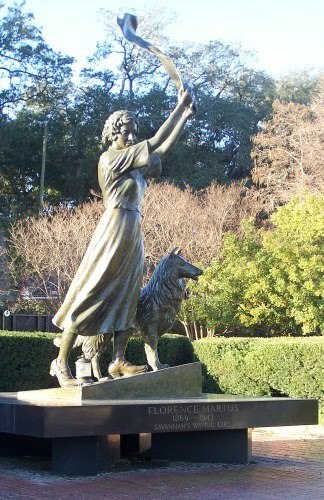 The Seminole Nation was among the tribes relocated to the then-called "Indian Territory" (which included Oklahoma). ESPN writer Wright Thompson can't say it any better. Stay classy, Pokes fans.You should have stuck with the already old Jameis Winston crab-theft jokes. UPDATE: Oklahoma State has released a statement about the banner on Twitter. OSU does not condone the insensitive sign shown at today's GameDay event and have requested that it be removed. 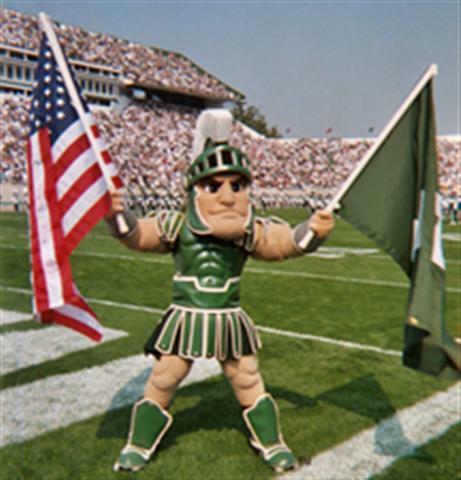 Game Day Goulash: Connor Cook, Bo Pelini, Kliff Kingsbury, and more. Game Day Goulash - Saturday of Week One. It feels just like the Fourth of July. Auburn offering trees cloned from Toomer's Oaks for sale. Auburn Professor Gary Keever with shoots clones from Toomer's Oaks. Photo via The Auburn Villager. An Auburn University professor of horticulture has managed to clone Toomer's Oaks - about 2,100 times over at the moment. An initial attempt to grow shoots initially failed due to the amount of poison in the original cuttings. Dr. Keever made another attempt to harvest clippings following the cutting down of the oak trees. Dr. Keever provided details of the second recovery to The Auburn Villager. 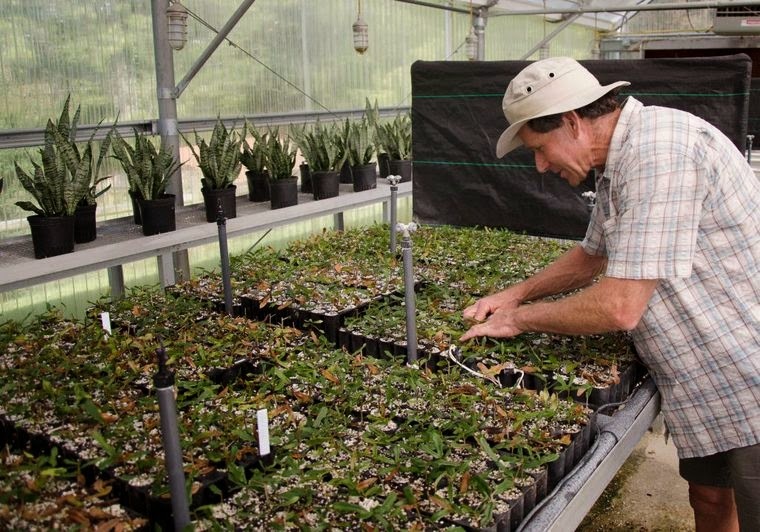 Dr. Keever has so far developed around 2100 shoots from the second batch of cuttings. The shoots contain the same genetic makeup of the original Toomer's Oaks, and can be reproduced through cuttings. The cloned trees are being offered for sale by the school for $125.00, and will come with a certificate of authenticity. The catch is that until October, you'll have to travel to Auburn to pick them up. On the plus side purchasers will get the chance to personally pick out their clones. Proceeds from the sale of the clones. benefit Auburn University's Thomas H. Dodd Jr. Endowed Professorship in Horticulture. *I'm not going to give the goober that committed the crime any more publicity than I have too. 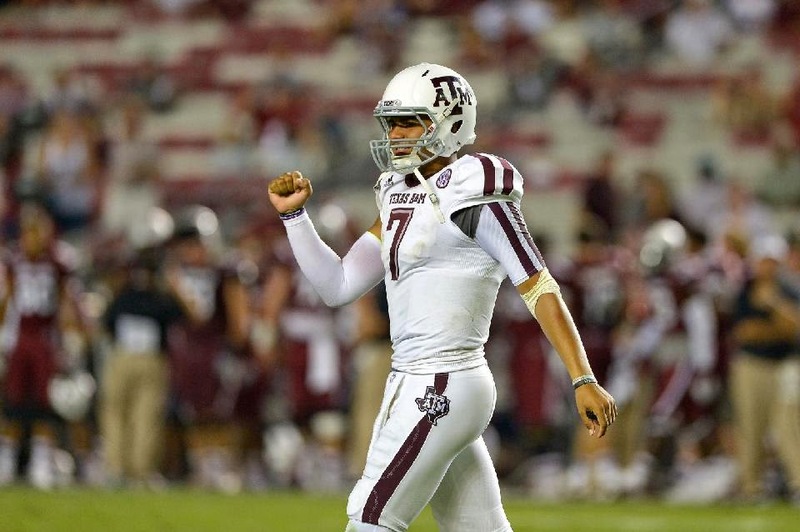 It's too soon to proclaim Kenny Hill the next big thing in college football. Kenny Hill. Via Dr. Saturday. What to make of Texas A&M starting quarterback Kenny Hill's performance Thursday night in the Aggies' somewhat surprising victory over South Carolina? While the cries of "Johnny Who?" have already made the rounds, proclaiming Hill as the next college football superstar might be a little premature. Yes. Hill's 511 yard, three touchdown performance against the Gamecocks will go down in Texas A&M history. It definitely puts him on the list of QB's to watch this season. But like his predecessor, Johnny Manziel, it's going to have to take a few more performances like that to really put him in the Heisman Trophy hunt. I remember the hype surrounding former Michigan QB Tate Forcier following Michigan's first two wins in 2009 (including one over Notre Dame). He ended up being one of the most notorious washouts in college football history. We'll have a better understanding of Hill come midseason. Ironically, it may be the Aggies' Oct. 18 road game against Alabama that will establish Hill as a true Heisman contender, just like it did Johnny Football. John Shaw has finally come clean about how he really sprained his ankles. Well, his attorney, Donald is saying that the suspended USC cornerback Shaw is coming clean. Through a statement, Shaw claims the injuries were suffered from a fall. "Shaw, 22, was injured Saturday night when he fell from a third-floor balcony at an apartment building in downtown Los Angeles, Donald Etra, a lawyer representing Shaw, said Wednesday in a phone interview. Etra declined to explain how Shaw fell." Whether that's the complete story is another question altogether. L.A. Police are investigating the events surrounding the Shaw's injury as a burglary. "The police responded late Saturday night to a call of a woman screaming. No one answered the door at the apartment, so the officers forced their way in but found the unit empty. A neighbor told the police that a man had run across a balcony. When a woman living in the apartment complex was given a description of the man, she told them it sounded like her boyfriend, Shaw." Shaw had originally claimed his injuries were obtained from rescuing his nephew from drowning. Covering Dixie: Nick Saban and Lane Kiffin, Todd Gurley, Kurt Roper, and more. Covering Dixie Like Mildew - The SEC. It's what your conference wants to be like when it grows up. 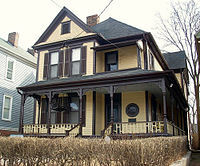 Birthplace of Rev. Martin Luther King Jr. in Atlanta. I've seen the future, and it will be. Alabama will win the first College Football Playoff title. Because Roll 'Bama Roll said so. Well you didn't think they'd say Auburn would win it, did you? I've seen the future, and it works. Dude You Crazy predicts South Carolina will win the SEC East, and that Alabama will win the SEC West. Naturally, the DYC predicts Alabama to beat SCAR in the SEC Championship Game. West Virginia QB Clint Trickett claims Nick Saban's daughter was the first girl he ever kissed. 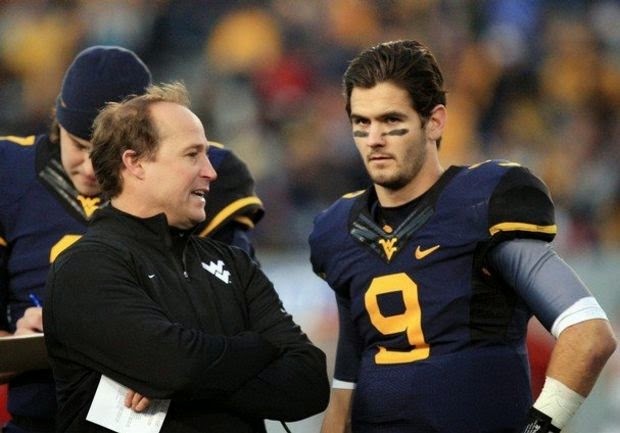 Dana Holgorsen and Clint Trickett. Via al.com. 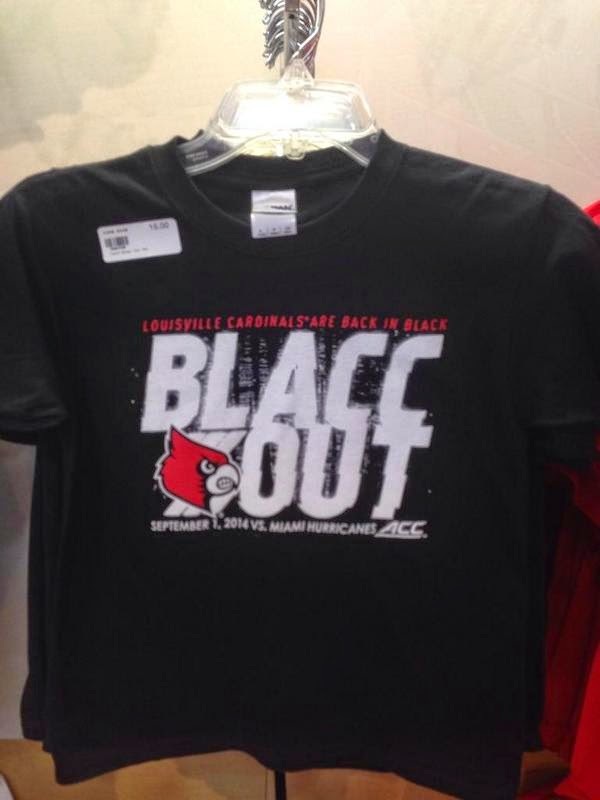 Louisville celebrating first ACC conference game with "BLACC OUT" t-shirt. Louisville will be opening up its debut season as an ACC member with a conference game at home against Miami. The school is celebrating the milestone by making it a "blackout" game. The Cardinals will wear all-black uniforms, and asked the fans to dress in black as well. Covering Dixie: Jacob Coker, Keith Marshall, Bo Wallace, and more. Covering Dixie Like Mildew - The SEC. Is it Thursday yet? 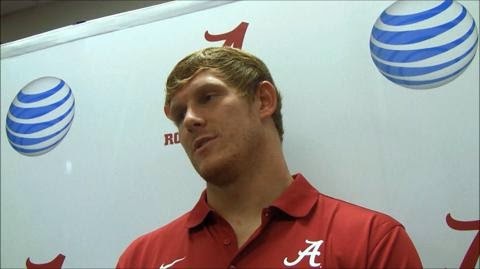 Nick Saban says no decison made on who Alabama's starting QB will be. Nick Saban at 2014 Sugar Bowl. Via al.com. Did you ever have to make up your mind? Alabama head coach Nick Saban does. He has to decide who between quarterbacks Jake Coker and Blake Sims will be tapped to become the starting QB for the Crimson Tide. Covering Dixie: Steve Spurrier, Justin Worley, Bo Wallace and Laquon Treadwell, and more. Covering Dixie Like Mildew - The SEC. Soon. How Alabama is trying to get its groove back for 2014 season. Alabama tight end Brian Volger. Photo via al.com. Alabama's failure to win its third consecutive BCS title last season was blamed on the players' inability to come together as a team. Former 'Bama and current Cincinnati Bengals' quarterback A.J. McCarron notably called out team underclassmen, accusing them as being "entitled" and not being able to get pass the adversity of the now-infamous "Pick Six" loss to Auburn in the 2013 Iron Bowl. "We had a lot of young guys," McCarron said. "In the end, success was our killer. Too much success and a lot of young guys coming in who didn't know what it took to get back to that point to win. They thought we'd just show up and we'd win." Reestablishing team unity was an issue that the 2014 Crimson Tide team leaders focused on this offseason, according to Alabama tight end Brian Volger. It included doing the simple things like team leaders hanging out with fellow team members outside their normal cliques, and bonding with the incoming Crimson Tide freshmen. "For me, we sort of took all those freshmen under our wing — Ross Pierschbacher and J.C. Hassenauer and them. Then you've got other guys who are sophomores or redshirt freshmen like Bradley Bozeman, Cooper Bateman, just guys like that." Alabama defensive end Dalvin Tomlinson told al.com how he "reached out" to younger team members, by playing video games and eating out. "We play video games," Tomlinson said, "and, of course, we like to eat, so we all go out to eat a lot." How this will affect the Tide's chances of making the first College Football Playoff are yet to be determined, but Alabama head coach Nick Saban says he is "encouraged" with the way they (the players) go about their work and what they try and do." The Fallout, D.J. Shockley and Hutson Mason, Brandon Harris and Harry Jennings, and more. A Shockley to the System. Good Bull Hunting provides a pre-preview of Thursday's first ever meeting between SEC cross-division rivals Texas A&M and South Carolina. Insert the ridiculousness of two teams that have never met before being rivals here. This will do you until GBH drop the inaugural TAILGATE of the season. I'm special. So special. I've got to have some of your attention. Give it to me. The Fallout: Brady Hoke, Les Miles, Jake Ruddock, and more. Welcome to the Fallout - Your last free Saturday of the year. Oklahoma TE Blake Bell taking reps as QB with second team defense. Blake Bell. Photo via Gamedayr. Oklahoma tight end/former quarterback Blake Bell has reportedly been taking reps at the QB position with the second team defense. That doesn't mean that Bell, who switched to TE after the emergence of QB Trevor Knight, is going back to his old position - at least not yet. 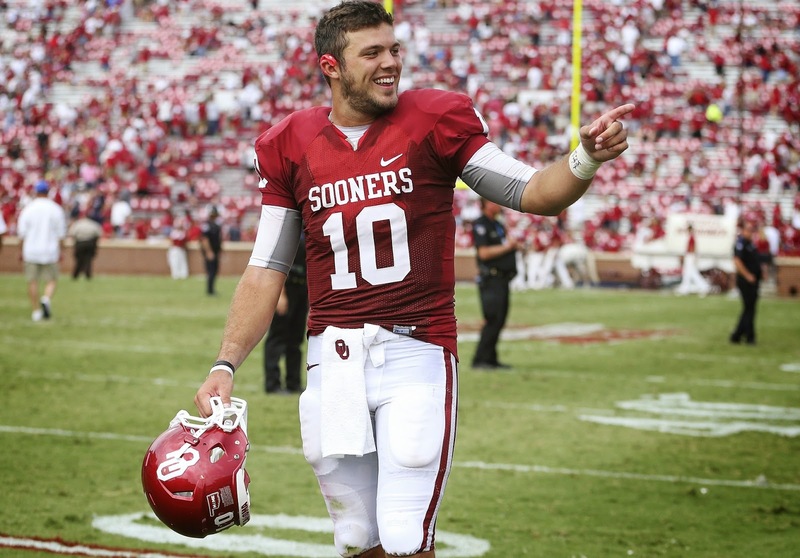 But it's being reported that Oklahoma is reportedly having issues with the QB depth chart. Presumed back-up QB Cody Thomas is currently dealing with what is being described as "an unknown injury. If that weren't enough, Oklahoma has been dealing with a "messy transfer situation" involving former Texas Tech QB Baker Mayfield. Bell's chances of finding himself back at QB are probably limited, but the Sooners are apparently not taking any chances being without options if things go south on the depth chart. Big Tentacles: Devin Gardner, Penn State, Aaron Burbridge, and more. Big Tentacles - The Big Ten and its influence over college football. Covering Dixie: Nick Marshall, Malcolm Mitchell, Alabama, and more. Covering Dixie Like Mildew - The SEC. Our network is better than your network. Author of new book about 2011 Tuscaloosa tornado discusses relief effort's affect on Nick Saban. Nick Saban will remain as head coach of Alabama until he retires. That's the prediction of author Lars Anderson, author of The Storm and the Tide: Tragedy, Hope, and Triumph in Tuscaloosa. The book, which was released on Tuesday, looks at the tornado that ravaged Tuscaloosa, Al. on April 27, 2011, and its affect on both the community and the Crimson Tide football program. 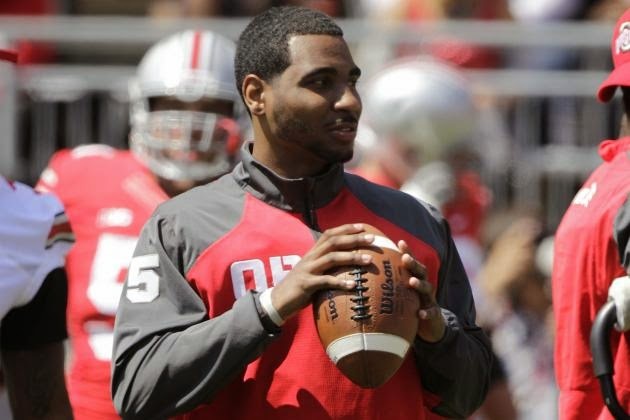 Ohio St. QB Braxton Miller reinjures right shoulder, could be out for season. Braxton Miller. Via Bleacher Report. Tim May of The Columbus Dispatch is reporting that Ohio State starting quarterback Braxton Miller has suffered an injury to his right shoulder (his throwing shoulder) during fall practice on Monday. It's the same shoulder Miller injured during the 2014 Sugar Bowl. 2016 defensive tackle prospect Benito Jones flips commitment from Alabama to Ole Miss. Benito Jones. Photo via al.com. Alabama's first commitment to its 2016 recruiting class has decided he just wasn't into 'Bama after all. 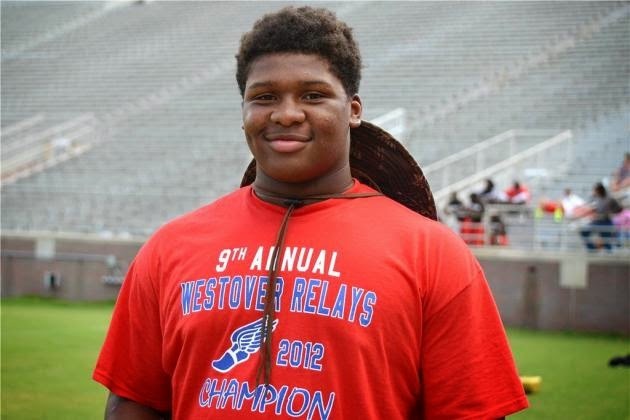 Waynesboro, Ms. junior defensive tackle Benito Jones has flipped his 2016 commitment from Alabama to Ole Miss. 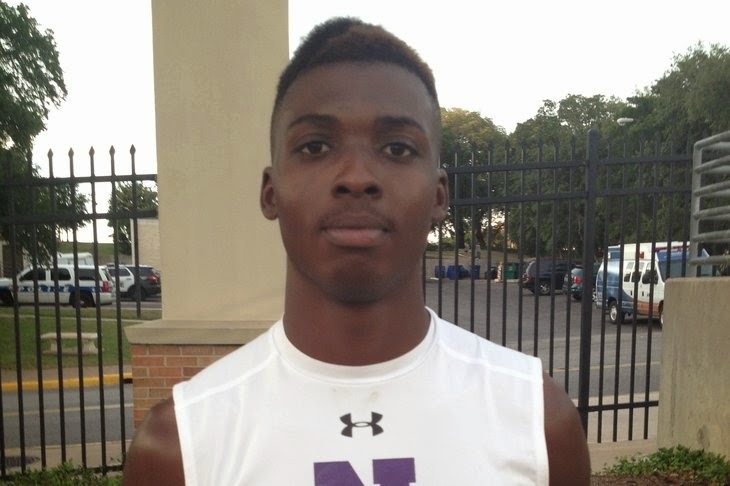 Texas A&M adds CB prospect Roney Elam to its 2015 recruiting class. Texas A&M head coach has posted another one of his patented "YESSSIR" tweets. That can only mean one thing. The Aggies have added another has added another prospect to its 2015 recruiting class. This time, it's Newton, Tx four-star high school senior cornerback prospect Roney Elam who has made the College Station his future destination. Covering Dixie: Jake Coker, Justin Worley, and more. Covering Dixie Like Mildew - The SEC. Anything interesting on TV last night? Roll 'Bama Roll looks at the Alabama quarterback depth chart, which includes Jake Coker and Blake Sims, the presumed frontrunners for the starting QB job. Garnet and Black Attack profiles South Carolina cornerback Ali Groves. 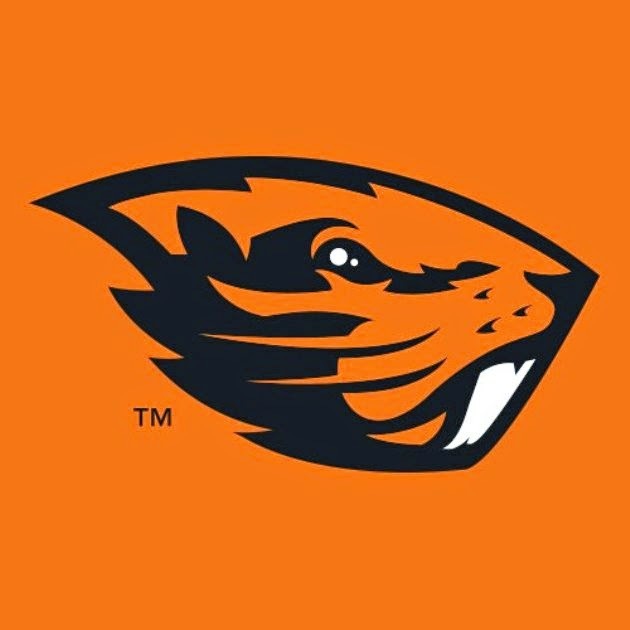 Ohio State to face Oregon State in 2017, UNLV in 2018. There's a Beaversharknado on the forecast for Columbus, OH - but not until 2017. That's when Oregon State is scheduled to face Ohio State in Ohio Stadium. A home game against UNLV, in 2018 was also announced. Georgia lands top 2015 DT prospect Trenton Thompson for its 2015 recruiting class. Trenton Thompson. Photo via Bleacher Report. 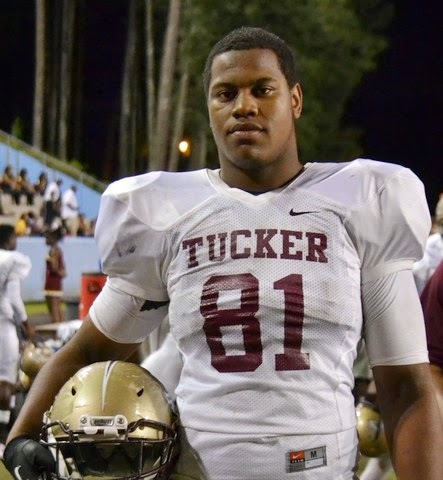 Georgia added the top 2015 defensive tackle prospect for its 2015 recruiting class on Tuesday with the commitment of Albany, Ga. high school senior DT Trenton Thompson. Big Tentacles: Marcus Rush, Spencer Meyers, Mitch Keppy, and more. Nick Saban tries to revise Alabama's history of struggles against hurry-up no huddle offenses. Nick Saban at 2014 Sugar Bowl. 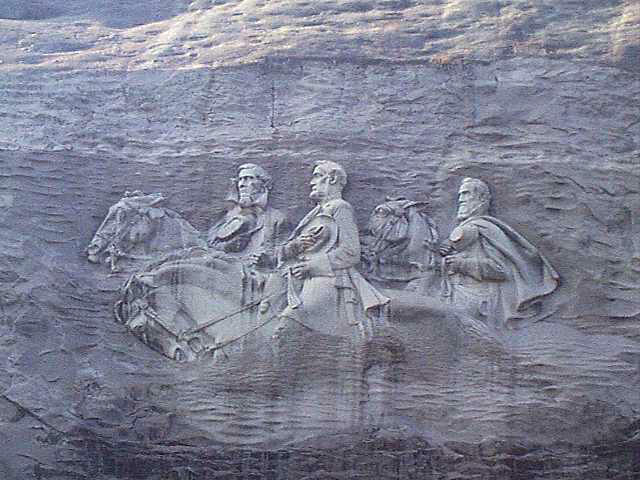 Nick Saban is trying his hand at revisionist history. The Alabama head football coach seemed like he was trying to distance himself from his own issues regarding hurry-up-no-huddle offenses from last season while speaking to the media on Saturday. FSU adds RB prospect Johnny Frasier to 2015 recruiting class. Johnny Frasier. Photo via newsobserver.com. Florida State has received the 19th commitment for its 2015 recruiting class. 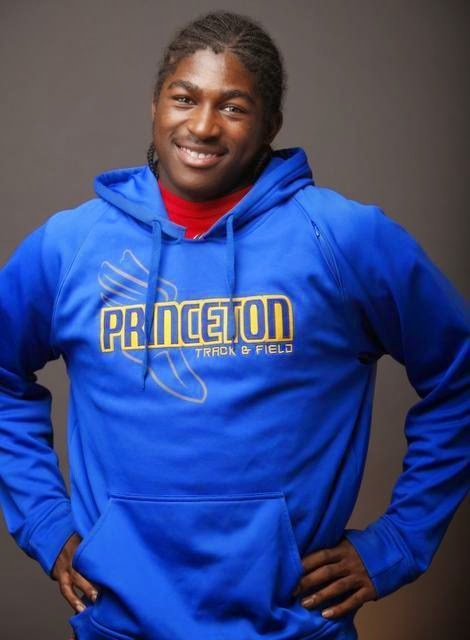 Princeton, NC high school senior running back Johnny Frasier committed to the Seminoles on Monday. The Fallout: Alabama, Steve Spurrier, Paul Finebaum, and more. If it ain't raining, it ain't training. It's been real. It's been fun. But it ain't been real fun. I don't want to go to Chelsea (unless Steve Spurrier is there). Dude You Crazy describes English Premier League team Chelsea as being "Alabama if coached by Steve Spurrier." I would so want to visit the parallel universe where this actually happened. It would be more surreal than anything Grant Morrison could come up with for Multiversity. The Fallout: The O'Bannon lawsuit, Jameis Winston, Hutson Mason, and...Richard Deitsch said WHAT about Nick Saban? Welcome to the Fallout - Saturday edition. Is it August 30 yet? Missouri football team members dance to The Sugarhill Gang's "Apache"
From the "KILL IT WITH FIRE!!!!!!" department comes this video from Missouri fall practice comes this video posted to Mizzou Football's Facebook page featuring members of the the team (apparently along with coaching staff members) dancing to The Sugarhill Gang's old school rap classic "Apache." Oklahoma buying food truck to comply with NCAA new "unlimited snacks" regulations. Oklahoma AD Joe Castiglione. Via The Tulsa World. Oklahoma are adding a new kind of schooner to its fleet of vehicles. ESPN sports business gadfly Darren Rovell reports that the Sooner football program is purchasing a food truck in its attempt to comply with the NCAA's relaxed rules permitting "unlimited snacks" to players. Oklahoma athletic director Joe Castiglione explained that the program is acquiring the somewhat trendy mobile facility more out of necessity than "largesse or excessiveness." "We don't have facilities in all the places they would need to be, so the idea is to have a mobile fueling station and perhaps some additional trailers that have refrigeration capabilities that can operate as a prep kitchen of sorts," Castiglione said." Castiglione denied that Oklahoma was trying start an unlimited snack war with other schools by having its own "mobile fueling station," but admitted that schools were bound to play "can you top this" while trying to comply with the new NCAA rules. "I realize the idea was to give institutions the flexibility to do what they want within their means," Castiglione said. "But it's now so flexible that schools can provide full meals to athletes at any time, and there will be some schools that will undoubtedly push that envelope. The next thing people will be doing is a comparative analysis for recruiting as to what schools offer more." Castiglione says Oklahoma will be spending "about $1 million" dollars to implement the new "unlimited snacks" rules. 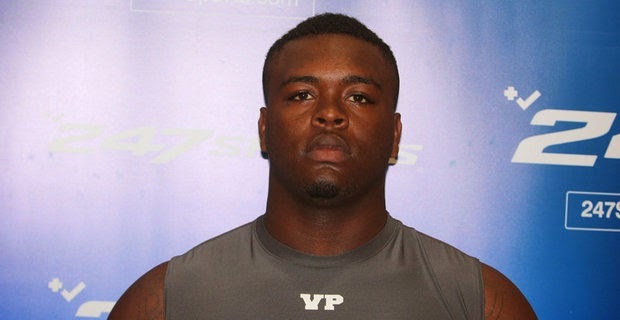 Auburn receives 2015 commitment from DT prospect Jauntavius Johnson. Auburn has added the 19th member of its 2015 recruiting class. Lincoln, Al. high school senior defensive tackle Jauntavius Johnson announced his commitment to the Tigers on Wednesday. Nick Saban has lost control over his own television set. Alabama head coach Nick Saban has established himself as being the dominant college football coach of the decade so far. 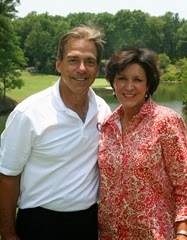 When it comes to things at home, however his wife, Terry Saban, seems to be the one in charge. Saban discussed the nature of his home life while answering a question on the forthcoming vote on Thursday by the NCAA Board of Directors to grant more autonomy to the so-called "Power 5" conferences (SEC, ACC, Big Ten, Pac-12, Big 12). "I don't really know about the Power 5 thing," Saban said. "You probably know more about than I do. Once we start practice, I don't really read the paper. I don't really know what's flying around out there. It's late when I get home." Saban loosened up even more as he continued. "I don't know how it is at your house, but I don't get to pick what me and Terry watch on TV. Whatever Miss Terry wants to watch, that's what we ... If it's The Love Boat, I gotta watch 'The Love Boat,' so it doesn't matter. "I don't get to watch SportsCenter. I don't really know a lot about that." Nick Saban, always with something exciting and new to say. 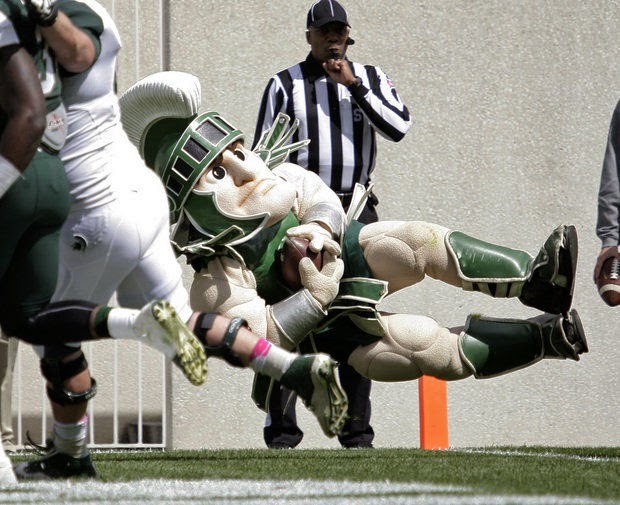 Big Tentacles: Mark Dantonio, Christian Hackenberg, Joel Stave vs. Tanner McEvoy, and more. Big Tentacles - The Big Ten. 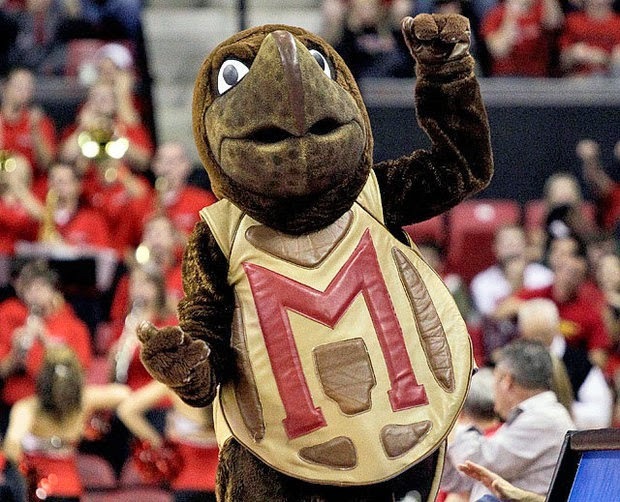 Now with 100% more Maryland and Rutgers. 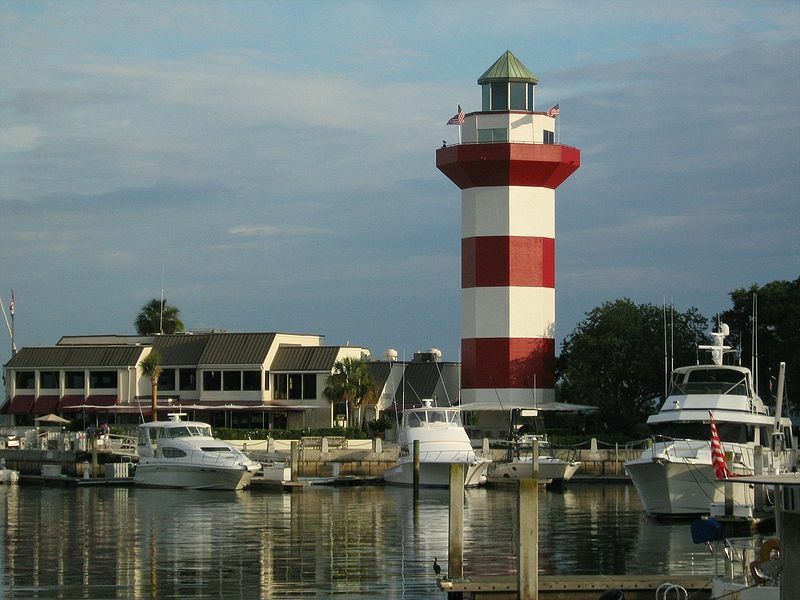 Steve Spurrier disses Big Ten "down the line" teams, would rather face East Carolina. From the "Quotations from Chairman Spurrier" department comes this item in which South Carolina head coach Steve Spurrier delivers a little zinger at the Big Ten. More specifically, the "down the line" teams in the conference (i.e. Purdue, Indiana, and possibly Maryland and Rutgers). The comment came Spurrier was responding to a media question on the current push for autonomy for the "Power Five" conferences (SEC, ACC, Big Ten, Pac-10, Big 12). The Old Ball Coach used the opportunity to give a shout out to East Carolina, which plays the Gamecocks on Sept. 6. The Pirates went 10-3 in 2013, the team's last season in Conference USA. This includes a win over North Carolina in Chapel Hill. ECU defeated Ohio 37-20 in the Beef O'Brady's Bowl. Translation: This is Spurrier using a media question about the current state of the college football landscape to hype up a game on the 2014 South Carolina schedule that would otherwise be pretty much ignored by the CFB media. Don Draper would be proud. The Fallout: Nick Saban, A'Shawn Robinson, Bryce Petty, Mark Dantonio, and more. I know it sounds absurd, but please tell me who I am? And here's to you Mr. Robertson. I'm Not Perfect (But I'm Perfect For You). ESPN's Max Olson declares that Baylor starting quarterback Bryce Petty is in fact, an imperfect QB, and proceeds to exposes Petty's flaws one by one. Rest assured it will not last. Take a turn for the worst. Icing violations: they're not just for hockey anymore. Bo knows (Ole Miss) football. Alabama suspends three players for "violation of team rules." 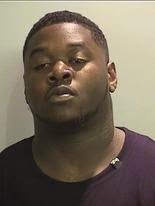 Jarran Reed's July mugshot. 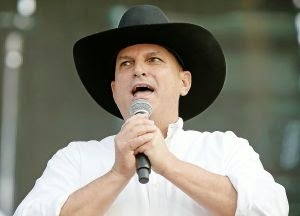 Via al.com. Three Alabama players have been suspended for the ever-vague "violation of team rules." Alabama head coach Nick Saban announced the suspensions of defensive linemen Brandon Ivory and Jarran Reed. and linebacker Tim Williams while speaking to the media after the team's first preseason camp practice session.